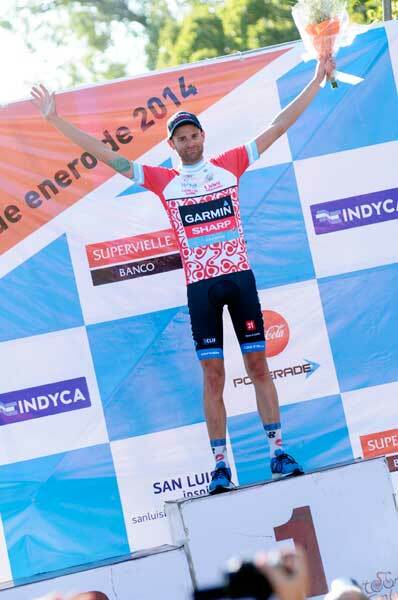 American Phillip Gaimon won the opening stage of the 2104 Tour de San Luis on Monday after riding clear of an early escape group on his debut for Garmin-Sharp. 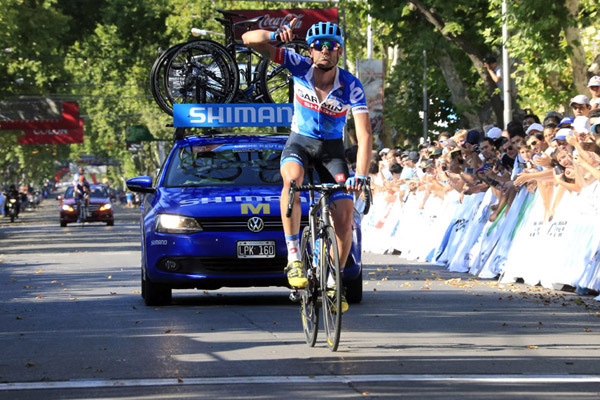 Argentinian Emiliano Contreras followed his former escape companion Gaimon home to claim second, with Marc De Maar (UnitedHealthcare) in third after the expected bunch sprint did not materialise. De Maar and Leandro Messineo (San Luis) had been with Gaimon and Contreras in the closing kilometres but reportedly collided with a vehicle on the edge of the road and were left playing catch up. Christian Meier (Orica-GreenEdge) led the bunch home at four minutes and 35 seconds. Mark Cavendish (Omega Pharma-QuickStep) came home in 18th place, with fellow Brit Adam Yates – making his professional debut for Orica-GreeEdge – at the same time in 90th position. Alessandro Petacchi (Omega Pharma-QuickStep) withdrew during the blistering hot stage after suffering from overnight stomach problems, leaving Cavendish without one of his key lead-out men. Several other members of the peloton were also suffering from the same illness, and the heat.